A young mum was sexually assaulted in a supermarket car park. 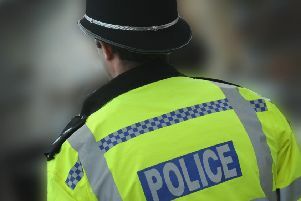 Police appealed for witnesses after two men abused and attacked the 23-year-old in front of her baby in the Tesco car park in Hazelwick, Three Bridges. As she was looking for a space in the parent and child bay a black Range Rover came the wrong way down the one-way lane at about 4.55pm on February 5. A police spokesman said: “Both vehicles stopped and a man got out of the Range Rover. The woman wound down her window and the man touched her indecently and shouted abuse at her. “An unknown woman then intervened and challenged the man over his behaviour. He then went back to his vehicle, another man got out of the passenger side and they both approached her, each holding a bottle of Lucozade. Both men were described as being of Indian appearance. One was about 5ft 8in, of chubby build, wearing a grey zipped up hooded top. The victim was unhurt but was badly shaken by the incident. PC Gemma Sutton said: “This was a most unpleasant and disturbing incident, not least due to the sexual nature of the assault and the presence of the victim’s young child. “We would like to contact the unknown woman who intervened, and also anyone else who saw what happened or who knows who these men are. “If you can help, please contact us via 101@sussex.pnn.police.uk or call 101 quoting serial 05/02. You can also contact the independent charity Crimestoppers anonymously on 0800 55 111 (www.crimestoppers-org.uk)”.